you guys. I'm in it. I'm up to my eyeballs in it. am swimming in unwieldy cardboard boxes and unending rolls of bubble wrap. am wading through seven years of the kids' paintings and drawings and school work, seven years gone unchecked. forgotten thrift store finds and unfinished art projects, more broken crayons than I have ever seen in my life, more old bills, more receipts, more paper everything. (side note: I have enough party supply stock to open my own shop). we do not actually leave the city of portland until the middle of june but we have to be out of this house by the end of the month. that's fourteen days. there's so much to do I don't even think there's time for sleep. I AM IN IT. but the secret to surviving what's often referred to as the third most stressful event of life (preceded only by death and divorce) is this: teeny tiny breaks. the teeniest, the tiniest, the most mundane of pleasures, but in highly concentrated form. last time we moved, I remember taking the time to sort ava's hair accessories by color. in the middle of everything. in the middle of the mountain of boxes and the feverish to-do lists and the small children knocking at the bathroom door, crying for frozen waffles. I remember how cool the bathroom tiles felt beneath me as I sat and sorted, how spectacularly overwhelmed I was by everything but how completely calmed I was to sit there and just sort for ten minutes. 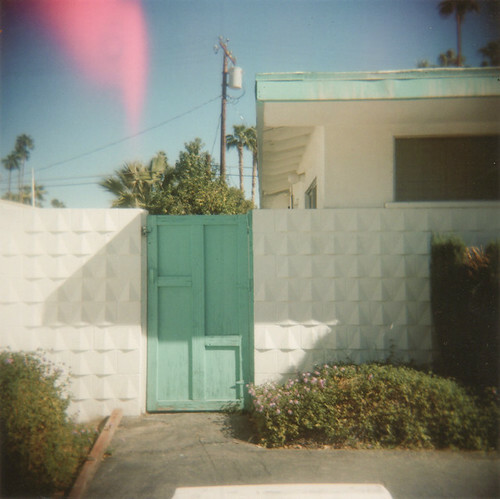 and that's what these photographs are for me. my teeny tiny break. 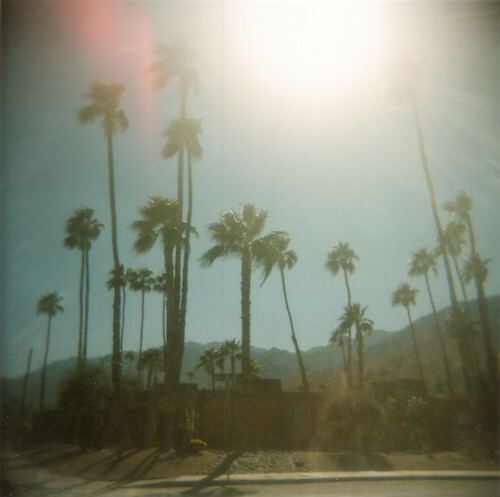 taken with the holga in palm springs back in 2012, finally dropped off and developed two years later. 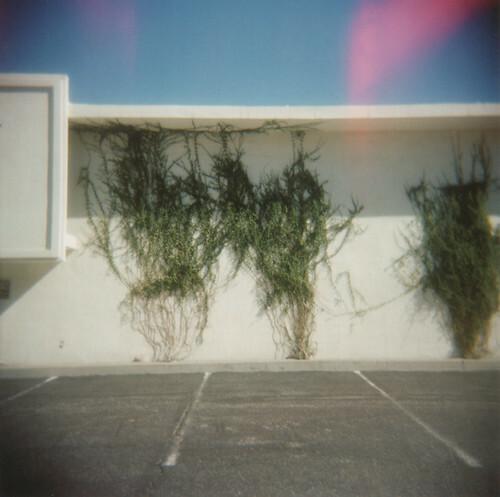 teeny tiny break number one: sitting in the car, thumbing through said freshly developed photographs. teeny tiny break number two: sharing them here. when I look at these, I can practically feel the heat on the back of my neck, smell the air around me, hear the click of that plastic camera. I am transported, just for a second. and really, that's all I need. 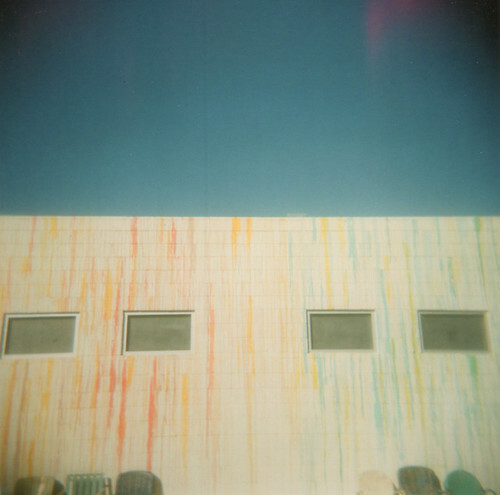 Love the real light leak - I still need to have my underwater film developed from that trip. thanks, darlene! 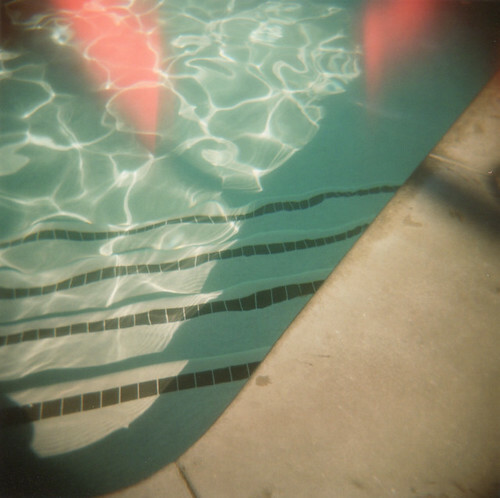 and ooooh, underwater film... so fun! would love to see them when you get them developed! Dont you love when memories become real again! I'm rooting for you!!! We just moved too but had purged SOOO much stuff it really wasn't too bad. Little art breaks are so necessary and calming. thank you, friend! I have to admit, it feels soooo good to purge. Oh Andrea, I so remember our moving days and feel for you and Ward having that neverending list of to dos looming. I occasionally long for those days. Maybe it's from remembering the excitment I felt knowing new experiences were ahead or because finding all sorts of items I had hidden from myself made it seem like Christmas. It was a great time to declutter and purge...hmmm, I think I need to move again. I am so excited you guys are moving back and can't wait to see you! Hint. Google moving life hacks and you'll get all kinds of packing tips to make it easier for you. Good luck, doll!! gah! THANK YOU. mind= blown. so many great tips! So I didn't leave a comment on your first post about leaving PDX, because I things weren't 100% yet. But now they are and I too am IN. IT. except: we're moving TO PORTLAND! Now (as in: we get in a car for a cross country road trip on Thursday). Just as your leaving. Wild timing. Still: I hope we get to hang at least once before you leave town and you can download into my mind all the places you love and the haunts you favor so that I can absorb it all and sink into the city with all my heart and might. Also: reading your posts is like reading my life in reverse. I'm going there as you're crossing the country this way. Oh to swim in that pool again! What a wonderful mini break to see these frames. Thank you. the light leak has a way of adding that extra sparkle. I think I know the pain of the boxes being a chronic clutter person myself. I need lots of breaks, snacks and a good soundtrack (currently its Great Gastby) to get me through.